In case you haven’t noticed, election season coverage now starts about two full years before the actual presidential election takes place. That’s because covering political campaigns is a cakewalk for the media, not to mention a lot of the folks that want to be the CEO of the USA also have books to sell. America can expect an endless series of over-the-top campaign ads. 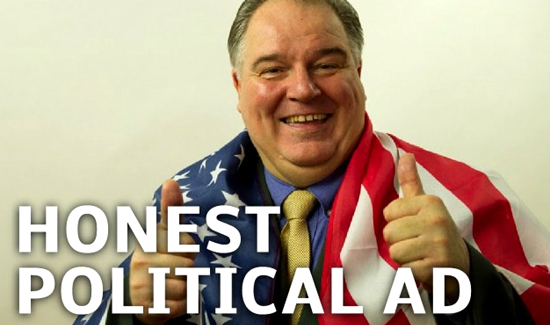 But wouldn’t it be nice if there was such a thing as an honest campaign ad? Like, I don’t know, the one above, for instance.